There is no clearly defined list of towns which comprise the Golden Ring. Big cities like Kostroma, Yaroslavl and Vladimir have pages of their own. Here I post images of small towns. Pereslavl-Zalessky is a small town located on the shore of Lake Pleshcheevo. 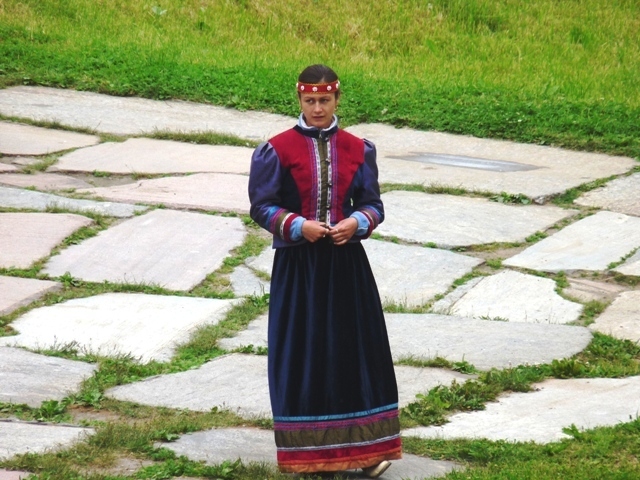 The town was founded in 1152 by Prince Yury Dolgoruky. The same guy who is considered to be the founder of Moscow. 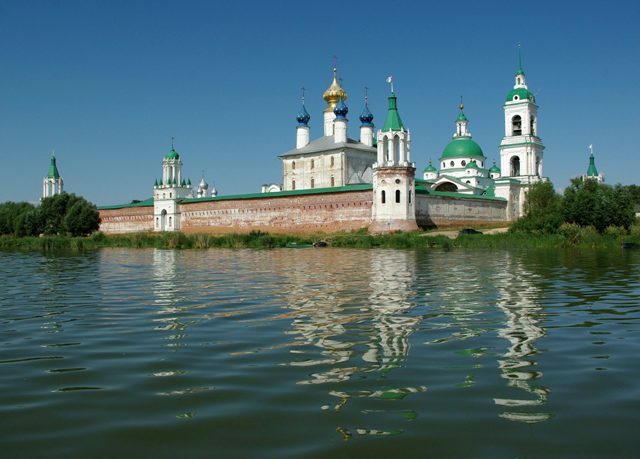 Sights include the 1152 kremlin with churches and cathedrals. 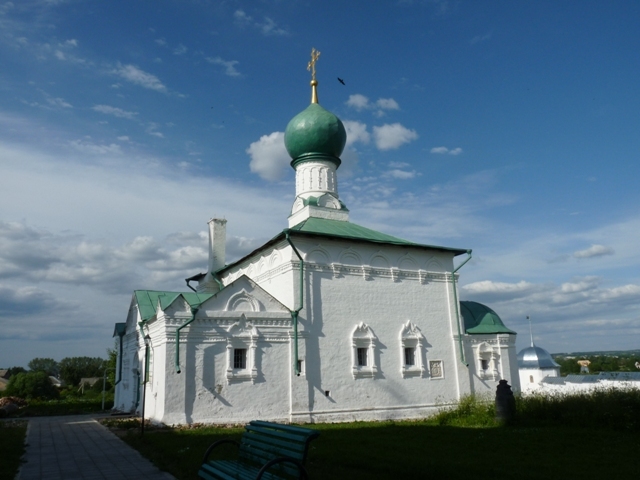 The little 1152 Transfiguration Cathedral is one of the oldest buildings in Russia. 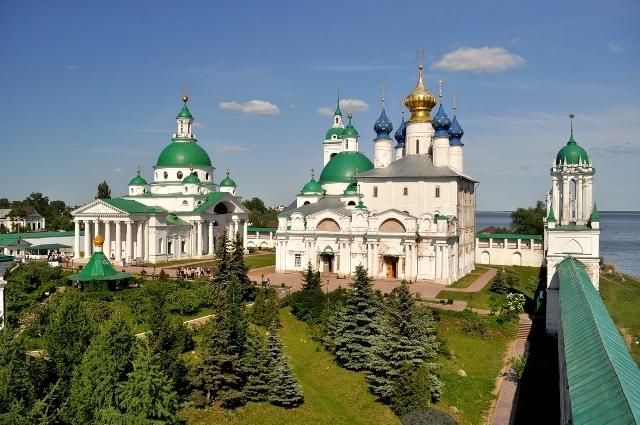 The Nikolsky Convent founded in 1350 has lately undergone a major renovation. In 1994 nuns from the Yaroslavl Tolga Convent came to restore the place and today it looks marvelous. 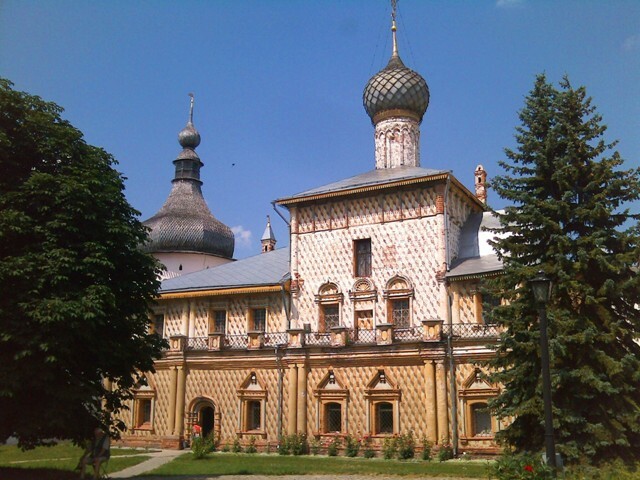 The Goritsky Monastery was founded in the 14th century. Its centrepiece is the baroque Assumption Cathedral with beautiful carved iconostasis. 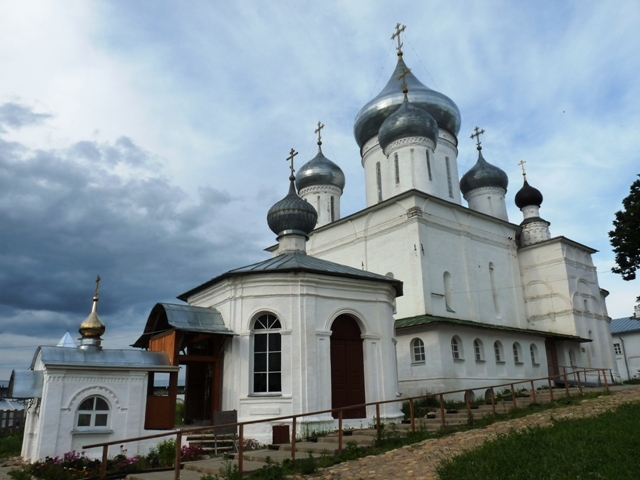 The Danilovsky Monastery sits on the hill overlooking the town. Its Trinity Cathedral dates back to 1530. The construction was ordered by Russian tsar Vasily III to mark the birth of his son and heir to the throne Ivan who later would be known as Terrible. 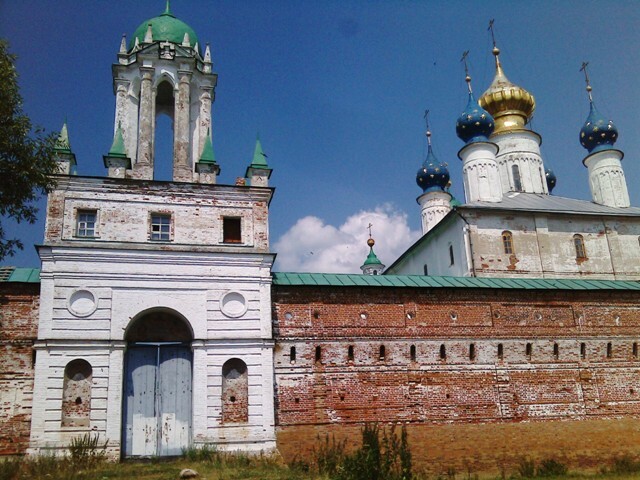 The Nikitsky Monastery was founded in 1010. To punish himself for his sins the martyr St.Nikita chained his limbs and spent the end of his days in an underground cell on the monastery grounds. The handcuffs which are now on display are said to help cure various vicious addictions. Nothing is said if one needs just to touch the handcuffs or to clasp one's limbs as Nikita did. 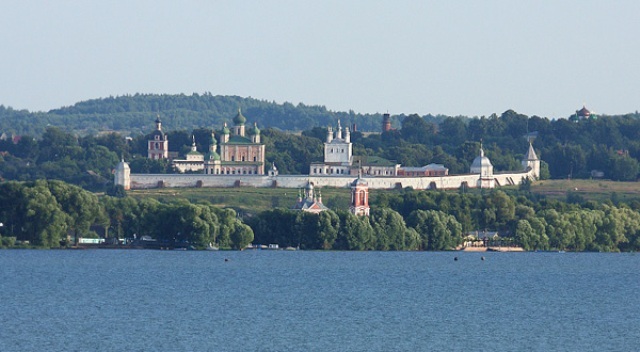 The monastery looks especially good over a distance, from the opposite shore of Lake Pleshcheevo. 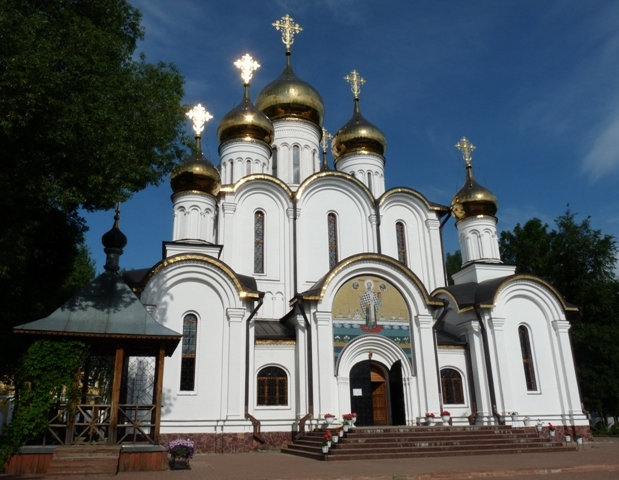 Pereslavl claims to be the birthplace of the Russian Navy. Here on the shore of Lake Pleshcheevo Peter the Great built his first toy flotilla of 100 little ships in 1690s. One of Peter`s sailboats "The Fortuna" that miraculously survived fire and centuries of neglect can be seen in a small Botik Museum. (Botik means boat in Russian). 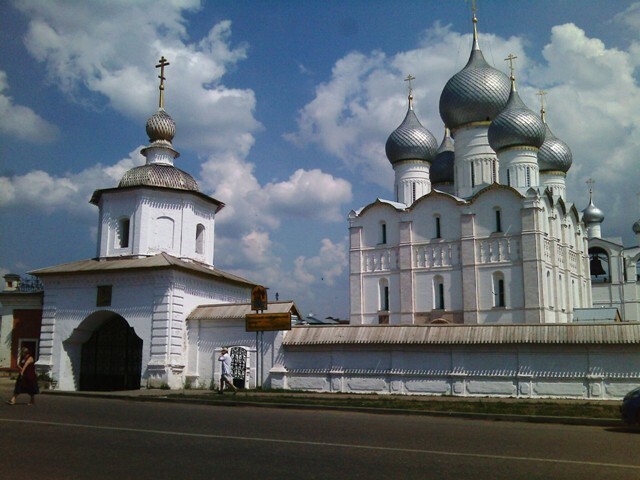 Proceeding north from Pereslavl-Zalessky a car traveler soon comes to Rostov Veliky or Rostov the Great although nowadays it is a small sleepy town. Nevertheless Rostov is one of the oldest towns first mentioned in chronicles in 862. Rostov`s main attraction is its kremlin built on the shore of Lake Nero in the 12th century and packed with photogenic churches, cathedrals and belfries. Nearly all the buildings seen today date back to 1670s and 1680s. 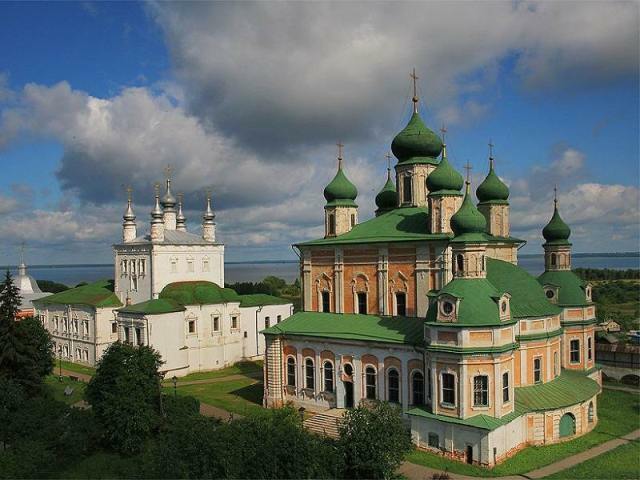 Another worth seeing attraction is the monastery of St. Jacob that looks like a fairytale apparition when one approaches Rostov by road or on foot walking alongside Lake Nero. 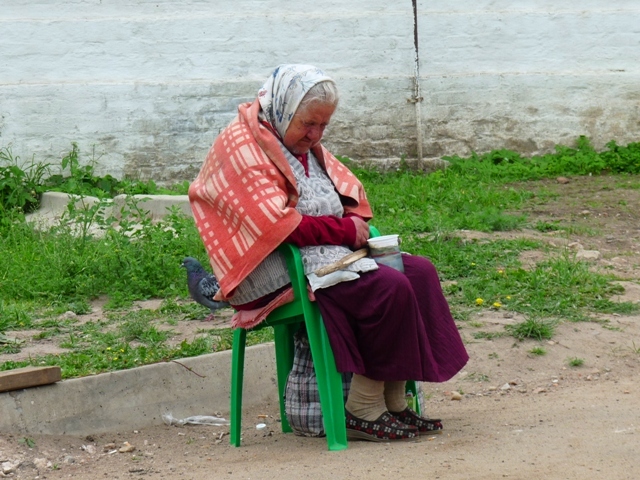 A nun on leave sunbathing at the shore of Lake Nero.